"Ordered larger jets for my 86 vf700c magna and was very satisfied bike runs like new. Thanks again! !" "1994 honda magna 750 cc. it big difference than before very smooth throttle more faster more respond more gas. I very glad "
"Incredible. I installed your jet kit on my 1985 Honda Shadow VT700C. Before your kit the bike dogged at low rpm. Now she runs like a new bike. I am amazed and pleased beyond words. " "I can't believe the difference this jet kit made on my friends 86 vt1100c. The bike was running lean and popped all the time. After the rebuild was complete, the bike ran like a whole new bike! Thank you carbjetkits.com for providing such an excellent experience." "Bike feels more responsive and feels like it wants to rev now as opposed to having to rev because you've twisted the throttle. The Jet kit calculator is genius, I wouldn't have known what sizes of jets to buy without that and the fact that I live in Scotland, UK and the parts arrived in less than a week is brilliant work on the part of Carbjetkits. "I'm a semi professional custom bike builder and i always use this site for all my jetting needs. They made a good, accurate product and offer excellent pricing. 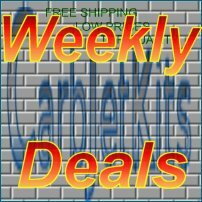 And now with the free shipping you cannot beat carbjetkits.com "
"Excellent all the way around! If your reading this then go ahead and get what you need. You will be extremely happy you did! Thank You!"